Did you know that only 2% of sales are made as a result of a first contact, and studies show that 80% of sales are made on the 5th to 12th contact? Additionally, 48% of sales people never follow up with a prospect. When a potential vacationer fills out a contact form on your website or calls your company with questions, where does their information go? How many of those contacts does your company actually follow up with? How many times is each prospect subsequently contacted? If you don’t know the answer to these questions, or if your team doesn’t follow up with prospects efficiently, then CRM (Customer Relationship Management) software may be something you should consider. It will allow you to accurately track and analyze your company’s sales and marketing efforts to ensure proper ROI. CRM software enables your marketing and sales department to track and measure sales activities. These sales activities include the interactions that occur between your company and your renters throughout their customer lifecycle – from prospect, to renter, to repeat renter. CRM can help your marketing department track and nurture prospects, help your reservations team know when to contact those prospects initially, and help your reservations team know when to follow up with those prospects again over time. 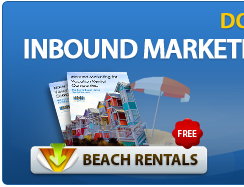 These programs are customizable to help your company track the appropriate information your vacation rental company needs to improve your marketing and sales efforts. Provides better marketing and sales alignment. Your company’s marketing and sales teams will be able to communicate and set better quality goals by using CRM. Your marketing team will be able to set and track prospecting goals (like website or phone inquiries, for example), and your sales team will be able to set booking goals. CRM systems allow you to track where the lead originated from and what marketing offers piqued their interest. This enables the marketing department to better hone their efforts and allows sales to provide homes to potential renters that meet the criteria they are looking for. Allows your ream to prioritize follow-up calls. CRM systems can help qualify your leads for your sales agents to determine where the lead is in the potential booking process. This enables sales agents to focus on the leads that are only deemed ready to be contacted by your company. This likely will improve your bookings and reduce your cold calls, freeing up sales agents’ time. Allows you to create better marketing and sales plans for the future. Once your marketing and sales teams are working more cohesively to gain bookings, your team can focus on how to retain these customers. Your teams can use the CRM program to prepare tactics to attain next year’s vacation bookings as well. The marketing team can set up thank you emails, continue to send helpful and relevant content and continue to be seen as a leader in your vacation area. The sales team can use the CRM software to trigger alerts when these previous renters reach another goal in the lead nurturing funnel and then prioritize calling the customer to attain the booking. Saves your company time and money. Implementing a CRM system that can help make the marketing and sales processes more efficient and effective will improve your ROI overall. Integrates with lead generation software. Many CRM software systems will integrate with other marketing software, including software meant to help generate leads like HubSpot inbound marketing software. This means the leads and contact information generated by marketing software will be automatically pulled into your CRM software system, saving you time and organizing your follow-up process. 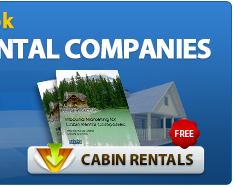 Have you implemented CRM software for your vacation rental company? How has it affected your company’s sales process?